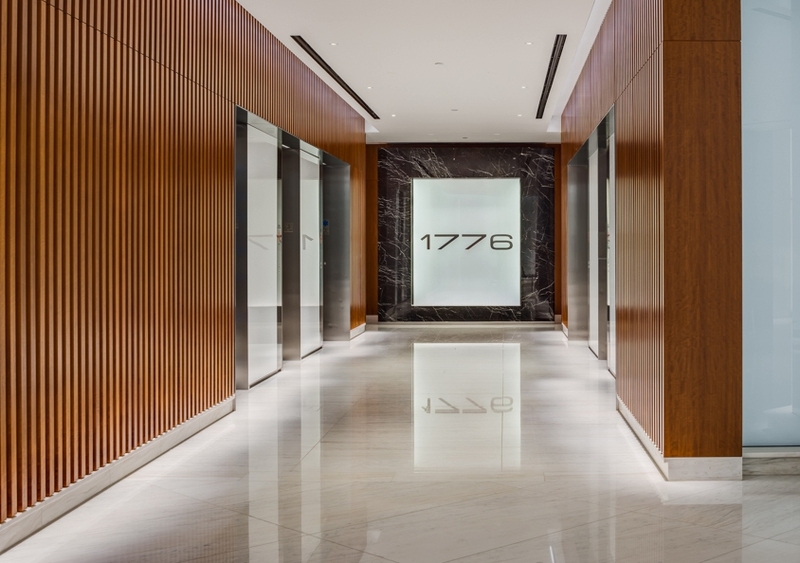 1776 Eye Street - Prolume, Inc.
1776 Eye Street is a Class A+ trophy commercial property with an iconic entrance located at the intersection of Eye Street and 18th Street NW Washington, DC. 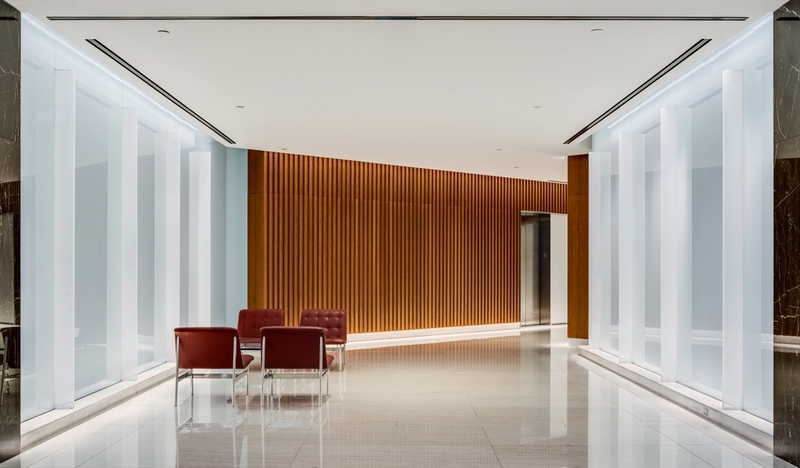 The design revitalized the building entrance and utilized Luma Series VO fixtures to illuminate the vertical fins in the transition area. 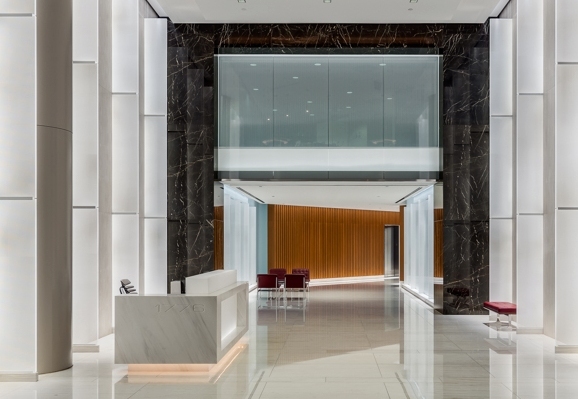 LO fixtures were also used to backlight the front panel of the reception desk in the main lobby.